I used to consider the label "classic-rock" a pejorative, a backhanded way of saying a band has nothing more to say — or, at least, nothing more worth hearing. Often when a band is several decades into its career, that's true. And then there's Cheap Trick, still knocking out albums of winning power-pop and melodic, muscular hard-rock more than three decades after their late-'70s commercial heyday. They've released three new collections since being inducted in the Rock and Roll Hall of Fame in 2016 (if you count a totally unembarrassing Christmas album), and they're still delivering killer live shows on stages large and small all year, every year. If they're not proof that "classic-rock" can mean the best of both of those words, I don't know who is. The mix of new originals and well-chosen cover songs filling 2016's Bang, Zoom, Crazy... Hello? and 2017's We're All Alright! fit nicely alongside classics like "Surrender," "I Want You to Want Me" and their version of "Ain't That a Shame," which have become classic-rock canon. I talked with Cheap Trick guitarist and songwriter Rick Nielsen about the drive to write new songs and more. Questions and responses have been edited for length and clarity. INLANDER: So many bands just go out and play their old hits. 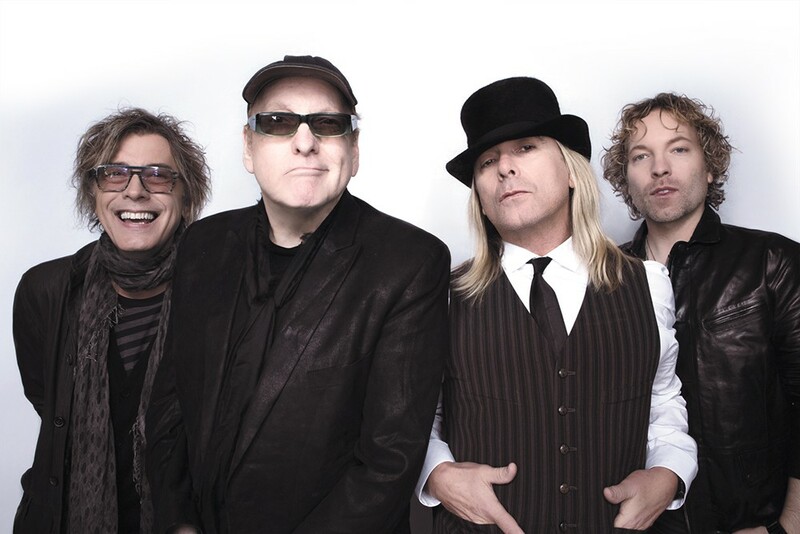 What keeps Cheap Trick writing and making new albums? NIELSEN: Because that's us. I can't tell you why anybody else [doesn't]; they don't seem to be motivated. It costs us money to do them, they come out of our own money, but we make them because we want to make them. It's pretty simple. Nobody's throwing money at us telling us to do it. The critics certainly respond to you guys, and you got in the Rock Hall of Fame. Do you pay attention to those accolades? We want to play. Cheap Trick, we've always been the kind of band who will play anything. We open up the envelope and say, "Hey, they want us to play at the state fair." Or, "They want us to play a private show, but it has to be quiet. This one over here, Lynyrd Skynyrd wants us to play." OK! "You're doing a show with Joan Jett." OK, that's fine. "You're doing the next one with Bad Company, then you're doing one with Def Leppard." Yeah, that's cool. We're not afraid of anybody. You've played with so many bands. Did any of them seem like the most natural fit as tourmates? Way back in the day we did months of touring with AC/DC. We were both semi-known, we'd fill the places. And some nights they'd close, and some nights we'd close, and everybody was happy. It was good. We're not AC/DC and AC/DC ain't Cheap Trick. We weren't trying to be them and they weren't trying to be us. You're playing here with Joan Jett. Have you played with her before? Oh, yeah, I love Joan Jett. She was the first famous person to wear the Cheap Trick T-shirt, back in the Runaways days. Your mom was a singer and your dad owned a music store. What music was prevalent when you were growing up? They did opera and religious stuff. They sang at Catholic churches and Jewish temples and black churches, Lutheran... My dad had a pilot's license, so by the time I was 13 or 14, I'd been in 48 states and Mexico and Canada because he could fly his own plane. Were they cool with you embracing rock music? I think they were happy I did anything. Having a music store, they sold 45s, listening booths and those things. Maybe I was showing them how to be a bit hipper than Billy Graham. My father did the operatic stuff like The Messiah. The Barber of Seville, all kinds of crazy stuff. Were you a fan of any of that music? It wasn't what I was like. I had to discover my own stuff. They weren't playing the Ventures and Duane Eddy. I had to go get that stuff myself. What concerts inspired you when you were growing up? Some of the early shows I went to see — Gene Pitney, I saw the Beach Boys. That still wasn't stuff I liked. The stuff I liked, I saw the Rolling Stones on their first tour, and their second tour, and they're playing like 25 minutes and that was their whole show. After seeing them on TV, that was pretty cool. How do you touch on all Cheap Trick's catalog putting a setlist together? If we did one song from every album... that's 20-something if you count the live ones. That's a lot. There's certain ones we should play and we do play. But it's fun to switch stuff around. It gets stale. We play with some bands, it's like clockwork. It's like punching a clock. We'd like to punch ourselves [if we did that]. What's still exciting for you to play? A song like "Lookout" on Live at Budokan, it's still fun to play. It's like an exercise. The house is rocking. You can't be asleep during that one, although I've tried a few times. I've been listening to the (2009) Cheap Trick live show covering the Beatles' Sgt. Pepper's Lonely Hearts Club Band album. How scary was that to do?